Have you ever been awoken in the middle of the night and sworn that you've heard something in the house? Or, does a situation just seem not right but you don't know why? That's what Ella, the main character of Dark Corners experiences. "Ella Reynolds knew from the first moment she walked into the old house someone or something was watching her. Waiting. Her husband’s violent murder sent her spiraling into a world of grief and isolation, but Ella isn’t alone. Who or what is responsible for her husband’s death is still with her. Darkness has engulfed the past year of Ella’s life. Everyday reality slips a little more between her fingers as she struggles to break free from her memories. She must look deeper into her past as well as the present to discover truth of her husband’s homicide. A string of uncanny events takes place and practical explanations run thin as Ella follows the terrifying road to closure. As the past and present come to a head, Ella must decipher who or what the murderer is before it takes her as well." Since she is a graphic novelist, everyone assumes that Ella is responsible for the gruesome murder of her husband. No one believes that there is something going on inside her house. Weird occurrences, strange sounds and missing objects a daily happenings in her house. Everyone thinks that she is crazy, but deep down, she knows that all these things aren't in her head. I recently read Dark Corners and I couldn't put it down. Of course, I started the novel while my husband was on a business trip (so reading it at night made me jump with every noise around the house). The writing is fluid and engaging. I felt as if I was in the house with Ella. I wanted her to find peace with her husband's murder and hoped that all these scenarios weren't just in her head. In the end, I was routing for her. I read a lot. With Dark Corners, I wasn't able to put the book down. In two days, I was finished and I didn't predict the ending. For me, this novel is high on my must read list. Dark Corners is available at and for ereaders at Amazon, Barnes and Noble, and Smashword. 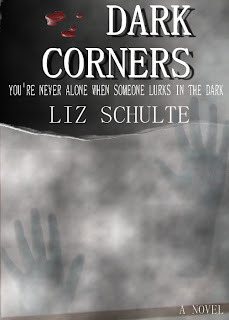 Also, you can win a copy of Dark Corners at http://promotionalbooktours.com/blog/?p=45. Disclosure: I was given this book by the publisher to review. All opinions are 100% mine and were not influenced by any person or entity. For my complete disclosure policy, please see www.more4momsbuck.com/disclosure. I agree, this was an amazing book and for $2.99 for the ebook why not buy it? Thank you for the fantastic review and for having me on your blog! I'm glad you enjoyed the book.